It’s been a busy summer for us so far – so much so that I have barely had time to process all the photos I have taken. I have a whole bunch that I snapped at the farm back in July that I will be posting over the next few days. 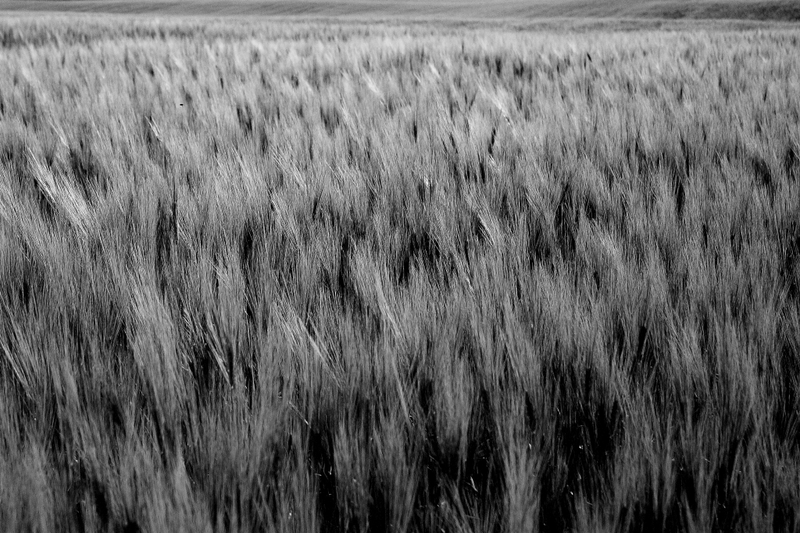 This one is probably my favourite so far – a tight shot of a barley field. I cropped a bit and converted to black and white as I wanted to focus on the texture of the grain rather than on the colour. Hope you like it. More to come soon! I love that you are stopping and seeing things as subtle as the textures in a field… so many people walk by these beautiful details without giving them a second thought. I always find it refreshing when I see some else appreciating the not so obvious beauty around us. Keep up the good work! Thanks Wayne! I love to try and see the beautiful little details in the world. I agree, it’s too easy to slip by without noticing these things, and it is so rewarding to slow down and take a good close look.